I love coconut. (Toasted, plain, coconut milk — it’s all good.) Yum. Barb :) recently posted..A New Challenge! I think I will probably melt in 97 degree weather. Really! Love your card, it is so JAMMIN’! Super cute, Lisa! Reminds me of Maui. I love coconuts too. Love the heart-shaped coconuts. I adore anything coconut, too – have you had coconut ice cream? It’s my fave! LOVE your heart coconuts on this card!! We aren’t anywhere near 97 here, but we’re slowly creeping upward – to go to almost 80 on Wednesday!!! where do you find coconut ice cream? I love coconut too. I just recently heard that there is coconut ice cream. I have never seen it! Now I can’t get Coconut Cream Pie out of my head….mmmm! 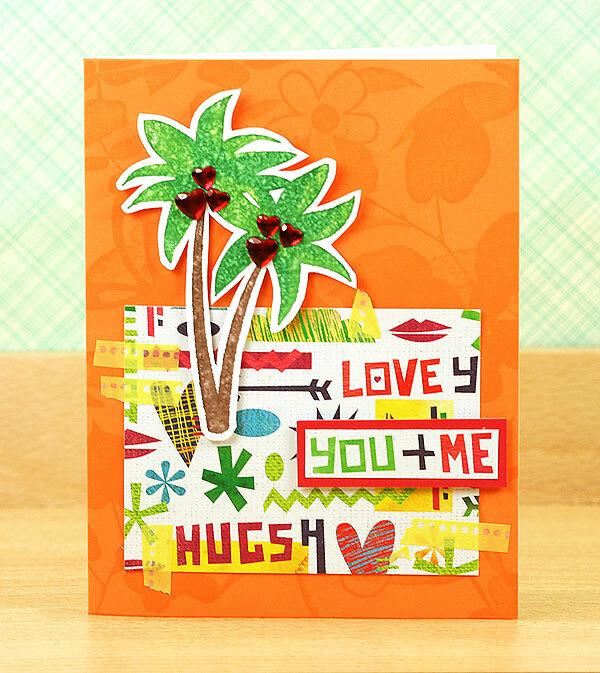 That is one fun and funky card, I’m loving those heart coconuts. Wish I could have heard all that giggling; I love it when giggles multiply! I’m having a washi fix right now too, and used some on one of my cards posted today. Fun! 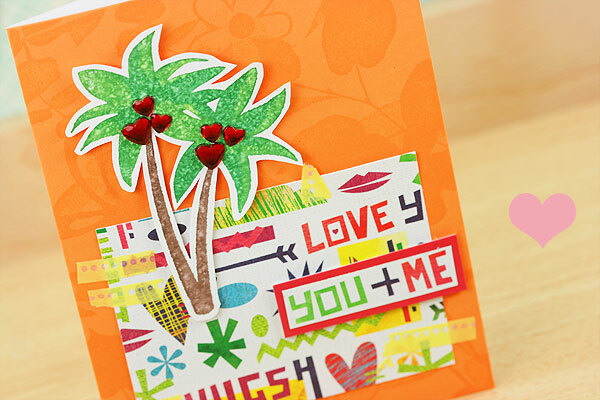 What a cute card, Lisa – I love your fun heart coconuts! And I hope your knee is feeling better soon! More than Washi Tape? Oh, my! That is a LOTTA love! ;) You are too cute, my friend! Ah..now the colors on this say, ‘vacation’ all over it! Super bright and fun!